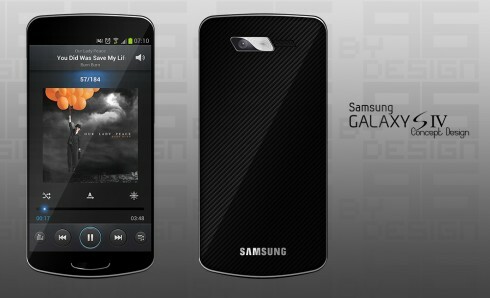 Samsung Galaxy S4 Concept Design in Two Versions; Which One Do You Choose? Deviantart is a great source when it comes to finding new Samsung Galaxy S4 concept designs, like the two ones created by Deviantart user 96design and shown below. The first one is a pretty business one, if you ask me, with a nice texture at the back, an edge to edge screen and a very fancy Home button. The camera is very nicely integrated and for some reason the back of the Galaxy S4 is more like something Motorola would do. 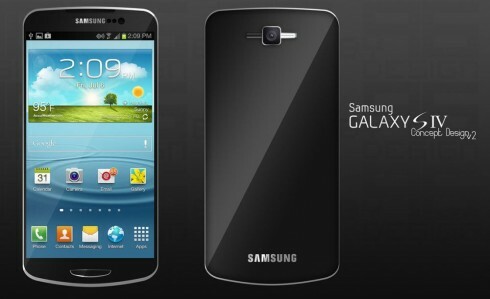 I like the fact that this time the handset is not exaggeratedly rounded, something I disliked about the Galaxy S III. And then there’s the second design, with pretty much the same facade, but this time the TouchWiz UI clearly present and at the back everything is more minimalistic and a big bland. I prefer the back of the first model and the face of the second, if possible. If you’ve been keeping up with leaks, the Samsung Galaxy S4 is supposed to be a Cortex A15 handset, with 2 GB of RAM, a 5 inch Full HD screen, a 12 megapixel camera, a new TouchWiz and Android Jelly Bean 4.2 on board. Everything else is pretty much a mystery, but the whole edge to edge screen thing is not out of the question. So, which of these two designs do you prefer?